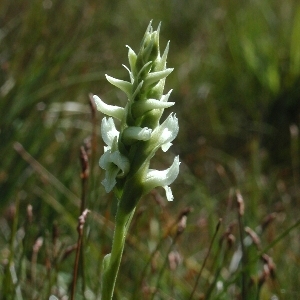 Irish Lady's-Tresses Orchid (Spiranthes romanzoffiana). In Europe this species is confined to Ireland, western Scotland, and south-western England, but its main region of occurrence is across North America. Perhaps the British and Irish populations are relics of a time before the last ice-age when the plant grew right across the northern hemisphere. The plant was not found in Northern Ireland until the 1890s, but is now known from a number of sites around Lough Neagh, Lough Beg, and elsewhere. It is, however, a rare plant. It grows in wet marshy grassland or fen, sometimes quite high up in hill districts. 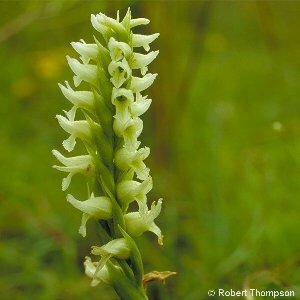 The flowers are tubular, whitish or cream-coloured, scented, and arranged in three slightly twisting rows along the spike. Flowering time is about mid July onwards. 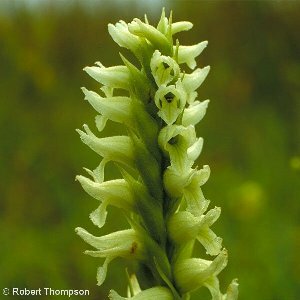 All names: Spiranthes romanzoffiana Cham. 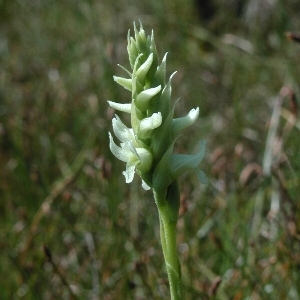 ; Spiranthes gemmipara (Sm.) Lindl. 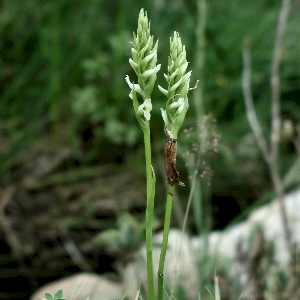 ; Spiranthes stricta (Rydb.) A.Nels.